Quebecers are friendly and hard workers. Québec (pronounciation /kəˈbɛk/ or /kwɪˈbɛk/), is a province in Eastern Canada whose population always had a rebellious attitude. 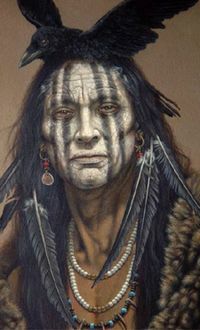 Ever since the English conquered them in 1759 (because the Natives' tobacco made them cough and vomit during key battles), they see themselves as a distinct society, thanks to their affectation of being the only North Americans outside Ivy-League universities to mostly speak French. 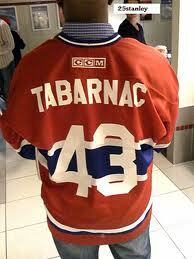 In fact, Québec sports a lot of outstanding traits. For example, it is the sole location in the world where you need to actually speak to someone before you know if you are going to be a racist towards him. Quebecers are proudly defined by the province's system of free health care. And it's too bad about your father, but if he thought he really needed a lithotripter, he could always have traveled to British Columbia or claimed to be a dog. 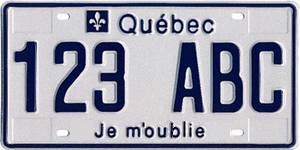 The province's license plates contain the motto that celebrates the history of smoking Québec Gold. Most Quebecers are opposed to the Afghan war, unlike their counterparts elsewhere in Canada. They are, however, quite favorable to camel imports from said country. They don't smoke Camels, though, as the pot produced in Québec is a source of national pride (Québec Gold). A single puff will make you laugh at a light pole for hours. In 1534, Jacques Cartier naturally took the Macdonald-Cartier Freeway all the way to the Gaspé peninsula and planted a cross there. He quickly came to understand the place name as the party was greeted by (gaspe!) a flock of arrows shot by the Natives, who understand what happens to a neighborhood when swells in foppish dress start to arrive. But Cartier won them over by offering them mirrors, trinkets, and microbes, a technique that would prove successful for buying off brave warriors up and down the coast. The Natives felt guilty for their harsh welcome earlier and showered the explorers with beaver and bear furs. Cartier's men, for their part, got rid of the ruffles, put on the furs, and developed what the Natives called "street cred," even though, upon their return to Europe, they were thus mistaken for fierce animals and almost shot on sight. In 1608, Champlain founded Québec City. He received another welcoming shower of beaver and bear furs, but was compelled to winter there by a particularly compelling beaver. When he and his crew were plagued by a new illness—the scurvy—the Natives' herbal lore came to the rescue. After smoking the said herb with a calumet, the men were better than cured, and the coincidental sight of little pink elephants was not displeasing at all. They set sail for home in the spring with a great load of the herb on board. Champlain and his remaining crew got lost numerous times on the way back to Europe, often sailing in circles and once returning to Québec (a mistake that they put to profit by replenishing their herb stock). An impromptu side trip to Maya let them hoard crates of chocolate, with which to fight the Munchies. The mere fact that they reached Europe safely is now referred to with veneration as the "Miracle on Ice." The King of France (Le king de France) sent his most beautiful and healthiest concubines—the fabled Filles du Roi—so that the settlers might produce the mightiest offspring possible, to endure the harsh conditions of the new land. This accounts for the amazingly healthy curves of modern-day Quebec women, while their rebellious attitude derives from the fact that many of the male ancestors were prisoners in France who were presented with two choices: either go and settle New France or rot in jail. Tough choice indeed. The battle raged on for days when, in a surprising turn of events, the cannons' mouths all stopped shouting, due to the unexpected end of the supply of cannonballs. After a brief period of frenzied warfare using bowling balls, which also ran out, Montcalm—bitter, demoralized, and dead—conceded defeat. Since that time, the English have tried everything to push the Quebecers into taking up English: subtle disapproval, mass deportations, and playing Céline Dion's songs in the cities at night. Sadly, some 250 years later, success is still somewhere around the next bend, as the stubborn Quebecers still speak La Langue de Audjjourdjj'hui. In 1838, in what is still the most heroic act to grace the land, an uprising orchestrated by Les so-called Patriotes led to the adoption of a Declaration of Independence that guaranteed the exploited French equal rights—and affordable poutine. Papineau led his renegades to an overwhelming victory in the famous "The Battle of Saint-Denis." Armed with pitchforks and slingshots against rifles and cannons, they held their positions until the British finally stormed the mosh pit, outnumbering them 246 to one. The British cruelly set ablaze the church of St-Eustache where the last Patriots were hiding, turning them into crispened martyrs and establishing overcooked meat rescued with a dash of store-brand barbecue sauce as the regional breakfast. All that remains of this national landmark is the underground catacombs—the so-called Eustachian Tubes. Quebecers will never forget the Patriots, unless of course there's a good sitcom on TV tonight. The major cities of Québec began as simple lumber camps and bunches of hunting shacks, and strive to retain their historical character. Montreal is the home of the Big Owe (in French, le "gros bol de toilette"), a baseball stadium that is now as useful as a refrigerator in Antarctica, except that it would be inaccessible due to ice in the opposite months. It was home to the financial disaster known as the 1976 Summer Olympics, followed by the financial disaster known as the Montreal Expos. An attempt by city workers to search underneath the concrete foundation for sinkholes that might have been swallowing the revenues was ineffective. The Expos became the Nationals, but unfortunately of a somewhat sunnier nation. The stadium now hosts the annual North American horseshoe-throwing contest. The building is quickly decaying to rubble, though there are hopes that the municipal union will soon determine whose job it is to maintain it. Key Montreal exports include smoked meat, beer and hockey players. Imports mostly include bottle openers, flip-flops and, alas, Englishmen. Did you know? 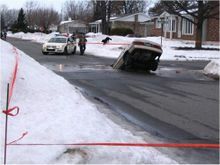 ...that there are more pedestrians hit by cars on the Island of Montreal than anywhere else in the province? Many of the city's drivers seem to view the walkers as balls in a pinball machine, and their cars as the flippers. 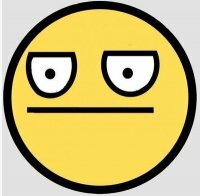 Quebecer's face when an American, Asian or European tourist asks him for directions. He'll happily help! Quebecer's face when an English-Canadian tourist asks him for directions. He'll pretend he doesn't understand English or send him the opposite way. 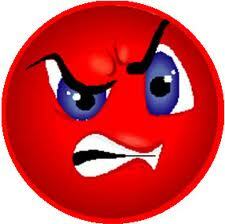 Quebecer's face when you tell him you've been in Québec for 2 years and still don't speak French. RUN! The oldest city in North America (founded 1608), Québec City is known as "La Vieille Capitale" (The Old Hag). The architecture and cuisine remind visitors of Europe without smelly people. The chilly temperatures are compensated for by the women, who are so hot that they keep the city virtually snow-free, though they sometimes cause flooding in the dead of winter. The city is also known for its narrow, awkward roads which mostly run vertically, as the place was built with walled fortifications by Montcalm to repel the English. You'll need a V12, 1000 hp engine to climb some of the National Capital's steepest streets—and a parachute for the return trip. The only industries are "la function publique" (as nearly all the population is employed in the bureaucracy) and tourism. The latter is a necessary evil, as the locals have to endure the English-Canadians who keep invading every year. Quebecers smile, take their cash, and laugh at them only after they leave. 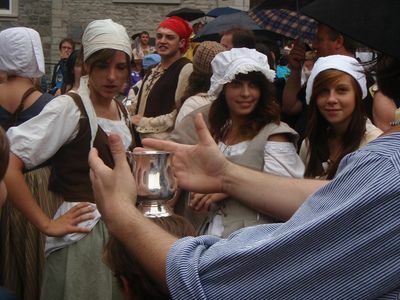 In 2008, the citizens of Québec City invested gobs of tax dollars to commemorate the 400th anniversary of the glorious Motherland. During this year of celebrations, the city's mayor (a dictator with a notorious, posthumous man-crush on Napoleon) kidnapped Sir Paul McCartney and forced him to sing in the middle of a grassy field, thus attracting half of the entire province's population. Did you know? ...that there is a city law protecting poutine? There is a violation charge of $200 for anybody that wastes poutine or expresses a mild dislike for it. A second offence will get you deported at best. The worst (but plausible) scenario is that you'll never make it out of the restaurant alive. Ottawa is basically an abandoned lumber camp. It has some pretty historic buildings and reportedly hosts a few important meetings. However, Ottawa is not in Québec, but Gatineau is. Gatineau has equally historic paper mills, as Scott Paper and Domtar compete for access to the nation's bottoms. It has such seamless planning and zoning that the visitor gets the impression that there are no gas stations or convenience stores at all. This is not always what you want. Gatineau is lousy with English-speaking employees of the Canadian government. They are on-site to detect any hints of rebellion. They never do, thanks to the innate ability of a Quebecer to sniff a phony a mile away. Remarkably, asking any resident of Gatineau for directions to the national capital does not induce him to simply point across the river but to draw detailed directions—to Québec City. Who says practical jokes are out of fashion? Sherbrooke, also known as Shrekbrooke as it is situated in the middle of a fantasy land called the "Eastern townships," is a way for Quebecers to nestle up near the warmth of the United States, and sometimes to sneak in a few furtive phrases of English. Sherbrooke has an International Airport with everything the traveler would want, except scheduled service to anywhere. There is no train service, either, but buses run to several large Quebec cities for that occasional shopping trip. The Chicoutimi bridge also serves as a huge radio antenna to help Canada detect extraterrestrial life that may help it solve the "budget impasse." On the Saguenay River near Lac St-Jean, near the home of the chocolate-covered blueberry, Chicoutimi is the proud home of the world's only aluminium bridge. The bridge is lightweight and requires no maintenance, as aluminum's huge thermal expansion is worked around by making the riverbanks change locations, occasionally moving to the other side of the downtown. The bridge is a hallmark of environmentally correct engineering, except for the annoying fact that it took Quebec's entire electricity production for six years to produce the aluminum. The bridge facilitates mind-control experiments on the population, as it creates an electromagnetic field that penetrates the sturdiest of tinfoil hats. One of the first thoughts implanted in the minds of the inhabitants is that only one Saguenay blueberry is required to make a whole pie. This does not mean it isn't true, though, as mutant blueberries are another effect of the bridge. Saguenay's Ha! Ha! pyramid, which commemorates the local sense of humor, is pictured on the reverse of the U.S. dollar bill, though unfortunately after vandals scrawled an eyeball on one side. Chicoutimi is an example of "municipal amalgamation" in Quebec, in which redrawing boundaries takes the place of providing municipal services. Thus in 1976, it annexed the suburb of Chicoutimi-Nord, whereas in 2002 it met a bigger fish and itself became a minor administrative district of Saguenay. Reportedly, in the next round it will become a single ward of Quebec City, though it may take some time for fire trucks to arrive. Now, when you ask a Quebecer where Chicoutimi is, he will merely glance at your license plate, mutter chez pas, and look away. Chicoutimi, however, remains the seat of the Catholic Diocese of Chicoutimi, as well as the Chicoutimi Sales Region of Hyundai, and of course the Chicoutimi McDonald's. Did you know? ...that back in the New France days, the Saguenay forts were defended by magically-enhanced snowmen and beavers? Laval is a large city on an island in the St. Lawrence River, just like Montreal. Only, it isn't Montreal, it's Laval. The island itself is named "Île Jésus," and Jesus! it is settling fast. Laval is known not only for its warm people but for its falling viaducts and buildings. While the latter tends to claim the lives of the former, in the mean time it lets the former place bets on which piece of the latter is next going to crumble without warning. Last year's winner, Jean Tremblay, successfully predicted the collapse of 2 major bridges, though he would have lost the tie-breaker as he was just a little off about the total casualties (39). Tremblay intends to use the money to get the hell out of Laval before the whole city caves in and becomes a part of the St. Lawrence River. "Dive! Dive!" GPS units sold in the "crumbling city" must allow for navigation in three dimensions. Young Quebecers doing household chores often imagine that they are skating down the ice, set to commit a "high-sticking" penalty. Québec's most sought-after job is to become a professional hockey player. From a tender age, Quebecer parents pressure their children to excel at this sport. They attend all Junior's matches and teach him, from the stands, the ropes of drinking, insulting the opposition, provoking the referees, and instigating brawls that make urban riots look like ballets. Actually, the most sought-after job is being the third-man-in. Bonhomme Carnaval is a well-known ladies' man. Another glamorous occupation is impersonating the Bonhomme Carnaval at the Québec Carnival. "B.C." is as outgoing and garrulous as all Quebecers could be, if only they had a full-length costume and a mask as he does. His job is to salute the crowd, perform ridiculous foot-to-hand movements, dodge snowballs and empty beer bottles thrown in bunches by Carnival participants while riding a moving float and wearing a 150-pound costume; all leading up to the climax, when five hundred drunks begin their annual midwinter swim across the St. Lawrence River, hoping not to be swept downriver and out to the sea. The two national pastimes united: hockey and swearing. Historically, Québec's most popular politician was Maurice «Rocket» Richard of the «Habs» Party. One notorious exclusion from the playoffs sparked riots that ultimately led to "La Révolution Tranquille." He reigned from 1940-1975, when he was killed by a flying hockey puck. Each year, his devotés mourn the pain their Messiah endured, much like people do in the Philippines for obscure reasons, by nailing themselves to crossed hockey sticks and being carried to a downtown rink in a religious procession, where the crowd then ruthlessly slap-shots them. Since then, other politicians have taken the throne, always revolving around one single theme: Québec's uneasy relationship with the remainder of Canada. The results have been mixed but independence has never resulted. Once René Lévesque was elected premier of Québec, he became known as more than merely an affable but odd, chain-smoking pygmy, when he unveiled Bill 101, which declared the speaking of English anywhere within Québec to be an act of terrorism. Further pursing Homeland Security, he used a referendum to ask the population if the love affair with Canada was beginning to bore them and if they wanted to play solo. The referendum failed when Prime Minister Pierre-Elliot Trudeau (known by the monogram of Pet), promised to re-open the Constitution if Québec would stick around. The other provinces indeed ratified a "new" Constitution, only slightly less favorable to Québec than the previous one. This stratagem was achieved by distracting Lévesque with call girls, an event now known as "La Nuit des Longs Couteaux" (literally, "The Night Québec got screwed"). After dragging himself out of bed and seeing the results, Lévesque reacted, primarily by starting to smoke twice as much, churning out more ashes than an erupting volcano. 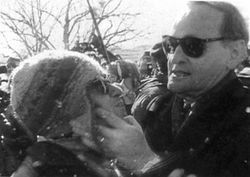 Former Canadian Prime Minister Jean Chrétien shows his love and appreciation to a separatist. On October 1995, a slightly obese moustachioed man named Jacques Parizeau rolled the dice again. A non-smoker, unlike Lévesque, Parizeau was actually able to deliver speeches without any fits of choking nor thick haze of smoke. Otherwise, he could have passed for him. Parizeau delivered the message of provincial sovereignty so persuasively that the Canadian governement started to panic. It promised a Maple syrup can and a free Canadian flag in exchange for a "No" vote. 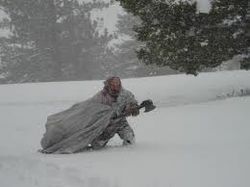 It also sent 100,000 crazed fanatics from Ontario to beg Québec to stay in the confederacy. Unfortunately, this occurred during a home-and-home match against the Maple Leafs and their message was largely lost. But Prime Minister Jean Chrétien upped the ante by promising 25 coupons for free poutine per citizen if the "No" camp prevailed. Caught between their passion for independence and their addiction to poutine, the vote was 49.5% for independence and 50.5% for staying in the union. Riots erupted, shop windows were smashed, and beer bottles were thrown, but the damage was minimized as they had not been full. Chrétien kept his promise, paid for by tax increases directed at Québec. Lévesque is gone except for the faint whiff of tobacco smoke, Trudeau is reduced to cranking out Doonesbury comics, but Bill 101 lives on. Like deaf parents who opt for surgery so their newborn will fit into the Disabled Community, Québec's legal requirement that all business and all signage be in its quaint replica of French has induced English speakers, and English teachers, to move to other provinces. English is now taught in the province by Frenchmen, which has transformed Québec from a member of the bilingual federation where people speak French and sometimes English—into a place where people speak French and sometimes bad English. As Québec French is something in which the rest of North America does not want to do business, as France doesn't either, the province is now the world's proudest linguistic leper colony. Aucune entrée pour les poids lourds. Site résidentiel seulement. 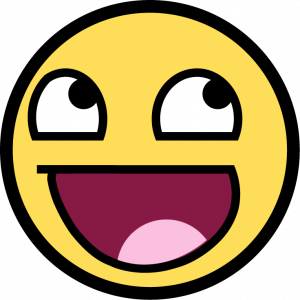 This page was last edited on 2 December 2017, at 00:46.